Spotless II Fiber Tip Cleaner for LC, SC, ST, FC, MU & MPO Contacts. Spotless II Fiber Optic Connector Cleaning Box with over 500 cleanings. Designed to clean the fiber core tip in LC, SC, ST, FC, MU & MPO type fiber optic cable connectors. This easy to use, long lasting, single click action fiber tip cleaner is an essential accessory to maintain the highest quality fiber contact. Non-alcohol, high fiber count tape effectively cleans a variety of contaminates. Try our easy-to-use, Spotless II Fiber Optic Tip Cleaning Box on your LC, SC, ST, FC, MU and MPO type fiber optic cable connectors. 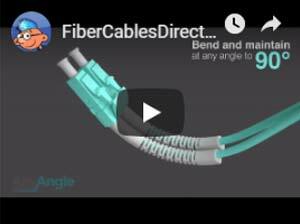 With a single click, your fiber optic connectors will have the highest quality contact with other fiber optic products. This is a must have item for any fiber optic network technician, installer, engineer or IT manager. High quality, non-alcohol, high fiber count, optical cleaning tape will effectively clean a variety of contaminates.